Fill in your contact information and confirm your registration through email (check up also the junk mail). After that you can submit your picture/s here. May I send in a picture that has already been published somewhere else? Yes, you may do it in case if you did not give your rights to the picture and if it doesn’t limit the use of the picture by us. By registering, you are giving us a permission to save your picture in the photo bank, where anyone who has registered can download it. See the rules here. Does it matter if the pictures I send are altered in any way? No. The main thing is that the pictures are youth-related and really taken in the Barents Euro-Arctic region and somehow represent the region, so that they may be used for marketing the region. In some cases, altering the pictures might even enhance this purpose. Just make sure you include a description of the alterations you have made. If I win a prize and don’t have a foreign currency account, how can I manage to receive the award money? What is the subject/theme for the picture? 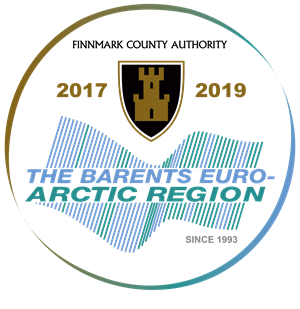 The theme of the photo contest 2019 is Barents Youth, it means that the picture has somehow to be youth-related and taken in the Barents area. Look at the page Prizes & Rules. Can I send more than one picture? Yes, you can send 2 pictures, but you can win the competition only with one picture. Do I need to be professional photographer? No you don’t. We accept pictures from anyone with a camera. How the winner is chosen? When selecting all winners, each member of the judging panel will choose her/his three favorites among the submitted via Internet competition photographs. These 15 pictures shall be discussed together in an online meeting and the three winners will be chosen. In addition to three best pictures, selected by the jury, the most liked image on the competition website www. discoverbarents.com will be announced as the winner of the general vote and rewarded with an honorable mention. The Photography Competition will be promoted on social media using the hashtags #discoverbarents and #barentsyouth. The general vote ends at the same time as the contest, i.e. on 30 April 2019. The main winner will be invited to the awarding ceremony to be held on October 1-4, 2019, in Umeå (Västerbotten, Sweden), during the Barents Regional Council Meeting. The Finnmark County Administration will cover the travel costs of the winner to the awarding ceremony. Can I send picture what is taken by phone? Of course! All imaging tools are eligible. The judging panel evaluate the picture by its content and technique. Therefore, mobile phones have the same opportunities for prizes as any other image. Why I can’t see my picture? After you have send your picture, we will check it. If the picture is not taken in the Barents region, we will not publish it. How do you define the non-eligibility of participants? If, for example, one has an employment contract or other connections to the competition organisations, how do you know if you can participate? If you have any other questions, send an email to natalia.karlsen@ffk.no, and we will get back to you as soon as possible.